Comments: Ranges: 1-2, 2-4, 4-8, 8-16 and 16-30 MHz. The left tuning knob is for kHz and the right tuning knob is for MHz. The kHz dial is a 6 foot 35mm film scale yielding very high accuracy +5 kHz). Stability improved in later production. 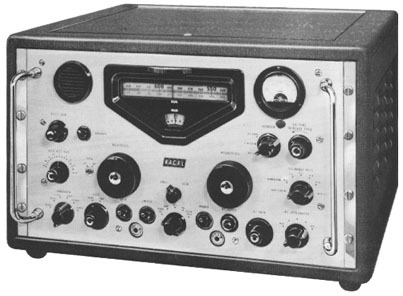 First communications receiver to use the famous Wadley loop drift cancelling system. 4 Filters are L-C, 2 are crystal. Heavy duty cast aluminium chassis. Light battleship gray. Over 10,000 RA17s were reportedly made. 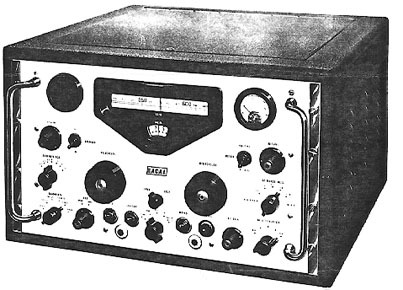 The RA137 covers 10-980 kHz. Variants: American versions RA17C, RA17C-2 have slightly different tubes and antenna connections. RA17C-3 AN/URR-501, RA17C-12 AN/URR-501A U.S. version. Model RA17L later production with bandwidths of: 13/6.5/3/1.2/.3/.1 kHz. Coverage:	1000 - 30000 kHz Readout:	Analog Lin. Circuit Complement: 6AK5W Crystal Osc., 6AK5W Harmonic Gen., 6ES8 RF Amp, 6AS6 Harmonic Mix, 6BA6 1st VFO, 6BA6 37.5 MHz Amp, 6688 1st Mix, 6BA6 37.5 MHz Amp, 6688 2nd Mix, 6BA6 37.5 MHz Amp, 6AK5W 2nd VFO Amp, 12AT7 2nd VFO, 6BE6W Calibrator, 6BA6 1st IF Amp, 6BA6 Calibrator, 6BA6 2nd IF Amp, 6BA6 IF Output, 6AL5 AVC, 6AK5W BFO, 6AL5 Noise Det, 6AQ5 Audio Out, 12AT7 AF Output, 6688 3rd Mixer, 6BE6W 4th Mixer and 6AK5W 1.7 MHz Crystal Osc. Comments: Ranges: 1-2, 2-4, 4-8, 8-16 and 16-30 MHz. The left tuning knob is for MHz and the right tuning knob is for kHz. The kHz dial is a film scale yielding very high accuracy. Light battleship gray. This model was designed for the U.S. market. Variants: Model RA6117A is the American version manufactured in the U.S.A.
©1999-2003 by Universal Radio Research. All rights reserved.